All our events are open to non-members and we are delighted to welcome local people to the Annual Conferences. The AGM and annual Conference is in early May. Our meetings include site visits as well as formal lectures. Following the successful joint excursion with the Cumbrian Vernacular Buildings Group in the summers of 2017 and 2018, a further joint event is planned for summer 2019. Details will be announced on this website later in the spring, and will be emailed to all those members for whom we have accurate addresses. Price: £35 includes coffee/tea and lunch (or £22 without catering). Places are limited, so please book early, by email or post, and indicate any special dietary requirements. To book, contact loganniall@yahoo.co.uk or write to Prof. Niall A Logan, Wester Acredyke, Balmore, Glasgow G64 4AF (Tel. 07885 815256). Please make cheques payable to SVBWG. Places may be available to pay for by cash at the door – please telephone to check. 11.00-11.35 John Harrison: Archives and the Urban Vernacular, followed by questions and discussion. 11.35-12.10 Geoffrey Stell (Edinburgh University): Burgage plots and early urban houses, followed by questions and discussion. 12.10-12.45 John Lawson (Curator of Archaeology, CECAS): Auld Reekie Revealed! Over 1000 years of development in Edinburgh’s Cowgate, followed by questions and discussion. 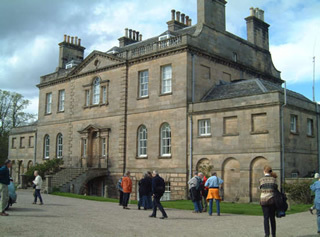 12.45-13.20 Tom Addyman (Addyman Archaeology): Panmure House, followed by questions and discussion. 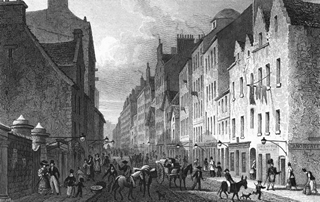 14.15-16.30 Simon Green (AHSS and Historic Environment Scotland) will lead a walking tour of vernacular buildings in the Canongate stretch of the Royal Mile. Afterwards, participants may finish the day at local teashops.